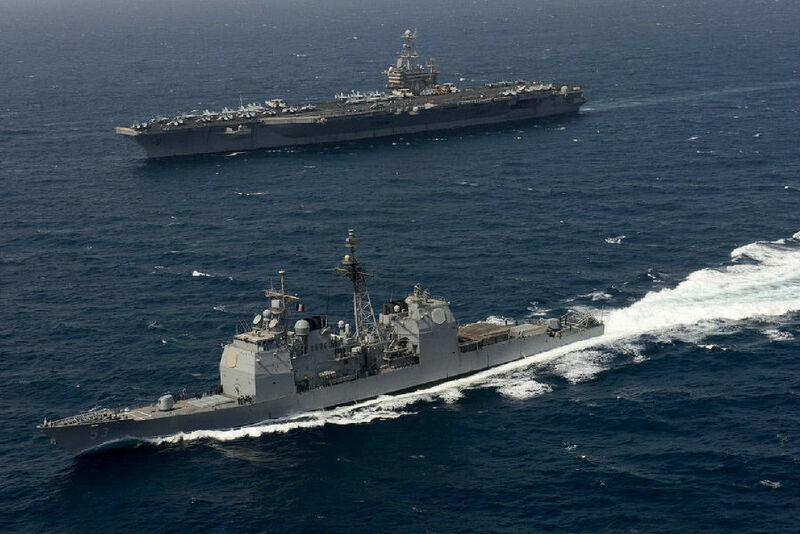 A top Iranian military commander says his country has full control of the Persian Gulf and the United States Navy does not belong there. The commander, General Alireza Tangsiri, is head of the navy for Iran's Revolutionary Guards. Iran's Tasnim news agency reported his comments. "We can ensure the security of the Persian Gulf and there is no need for the presence of aliens like the U.S. and the countries whose home is not in here," Tangsiri said. He added that "All the carriers and military and non-military ships will be controlled and there is full supervision" of the waterway. Iran has suggested it could take military action in the Gulf to block oil shipments by other countries. That suggestion came after the U.S. government announced this month it was ordering new economic sanctions against Iran. The sanctions followed a U.S. decision in May to withdraw from a 2015 deal between Iran and world powers. President Donald Trump approved the withdrawal from the agreement, which he has strongly criticized. The sanctions seek to increase pressure on Iran, as U.S. officials seek a new deal to limit Iran's nuclear activities and missile program. A U.S. military official said earlier this month that one reason the U.S. keeps navy ships in the Gulf is to "ensure the free flow of commerce in international waterways." The head of Iran's Revolutionary Guards, Major General Mohammad Ali Jafari, warned Monday that nations unfriendly to Iran would not succeed in possible conflicts in the Gulf. "The enemies are strictly avoiding any conflict with Iran because they know it will not be beneficial for them," the Tasnim news agency reported Jafari as saying. Also on Monday, Iran appealed to the United Nation's top court in an effort to get the U.S. sanctions lifted. Iran brought the case to the U.N.'s International Court of Justice. Lawyers representing Iran said the U.S. measures are already severely harming Iran's economy and threatening the wellbeing of its citizens. In a written statement about the case to the U.N. court, U.S. Secretary of State Mike Pompeo called the claims "meritless." Pompeo said that Iran's legal effort was an attempt "to interfere with the sovereign rights of the United States." Those rights, he said, include the lawful placing of economic sanctions, which he said "are necessary to protect national security." The endoscope does not interfere with your breathing. He added that his aim was to protect young Egyptians and national security. He appealed to everyone to help each other. The top court said that the circumstantial evidence proves beyond doubt that Hayashi is guilty. 5. "We can ensure the security of the Persian Gulf and there is no need for the presence of aliens like the U.S. and the countries whose home is not in here," Tangsiri said. There is no need for any further instructions on my part. Everything is fine with me; there is no need for you to be concerned. 6.Also on Monday, Iran appealed to the United Nation's top court in an effort to get the U.S. sanctions lifted.